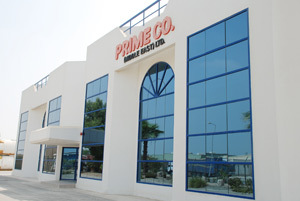 Prime Co. Midde East launched in Dubai in 1993, and has experienced rapid growth ever since, backed by excellent customer service and quality products and services. At Prime Co. we have a complete product offering and a commitment to continuously offer new cost-effective gas supply systems all our customers. This has proven to be the key factor behind our success. Prime Co. is one of the Middle Eastଡrgest industrial and refrigerant gas producers and distributors, supplying a broad range of industrial gases including oxygen, nitrogen, argon, hydrogen and helium and related equipment for their production, distribution and use. These gases are used in most industries, including food, glass and metal proceeding, semiconductor manufacturing, healthcare, aerospace and chemical production. Prime Co. supplies cylinder gases in every size and purity for practically any application, from welding to life support to instrument calibration. Our Sales and support team are dedicated professionals who have a comprehensive understanding of the Middle East market. 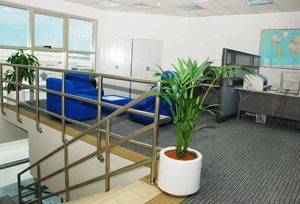 Our plants have a clean and safe working environment and are well maintained as per government and JAFZA regulations. Our specialty is manufacturing, filling and distributing of industrial and refrigerants gases including Nitrogen, Oxygen, Argon, Carbon Dioxide, dissolved Acetylene, Ammonia, Chorine, Dry Ice, a broad range of high purity specialty gases, medical gases and gas mixtures. In addition, Prime Co. supplies liquid Nitrogen, Oxygen, Argon and Carbon Dioxide in Vacuum insulated tanks. Ultra-high purity gases of specialty gases (standard mixed gases, chemical gases, electronic gases) are distributed by cylinders under pressure. Prime Co. can supply both high quality gaseous products and high quality equipment related to gas cylinder. We supply a wide range of compressed gases and we work with our clients to ensure that the gas they select is the most appropriate for their process and it is used safely and efficiently. Primeco has invested on state 裂䨥 Ჴ palletized filling facility for refilling Cylinder racks / Quads and Cylinders. Prime Co. has ownership of over 70,000 Cylinders that in circulation throughout the region. The cylinders can be checked and refilled at any of our service centers or at the factory. We provide service, supply, and exchange of any of the cylinders we have in stock. We have with us a highly qualified and trained team of engineers, who are ready to provide you with expert technical advice and back up at short notice. Moreover, we have an excellent team of staff working in our Sales, Administration, Logistic and Finance Department. These Personnel are highly qualified and experienced professionals in their respective field, whereby the relation with our customers are excellent and professional in all ways. Primeco is also holder of the Laboratory competence & management system certificate ISO 17025:2008 by G.S.A (Global Standard Association), Quality System Certificate ISO 9001:2008, by UKAS Management system, Distribution and Stocking of Industrial Gases, Refrigerants & Chemicals, and the associated Equipment, especially for use in Oilfield and telecommunications Industries. This recognition not only puts Prime Co. (Middle East) Ltd., in the league of the finest in the world but also reinforces the fact that Prime Co. (Middle East) Ltd. doesnવst make promises about quality, but delivers quality. Safety is our top priority. We have thousands of cylinders in circulation that constantly check for safety during refilling. Our local operations comply with the highest safety and environmental standards for cylinder filling, testing and distribution. Every cylinder goes through rigorous per-fill and post-fill checks to ensure that it is labeled correctly and is undamaged. Routine internal checks ensure that the cylinder is not corroded or damaged. Last but not the least, the dynamic leadership provided by the management under the guidance of our Chairman has provided immense motivation which in turn instill a great degree of confidence to accomplish our mission i.e. to provide our best services with the highest professional standards.